The Strength Tour 2015 starts in Worcester tonight and we are pleased to announce that the O2 Academy show in Birmingham has now completely ‘Sold Out’. The Strength Tour 2015 is proving to be one of the most anticipated in recent times with other shows in Winchester, Bristol, Edinburgh, Liverpool, Glasgow and London already sold out. Like Birmingham (which sold out yesterday), many others are also close to selling out. At time of going to press, there are only a few last tickets left for the show at Cardiff’s The Globe and the shows in Manchester and Newcastle expected to follow very soon. 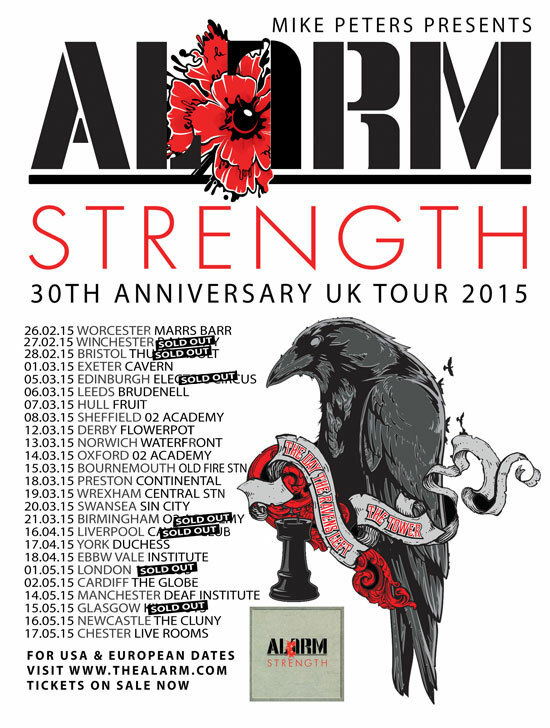 If you are planning on attending the Strength Tour 2015, please don’t leave it until it’s too late to purchase tickets. 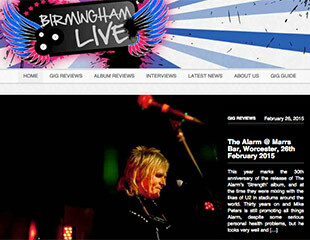 The year of ‘Strength’ is now upon us and all at thealarm.com look forward to seeing you on the road during the Strength Tour 2015.